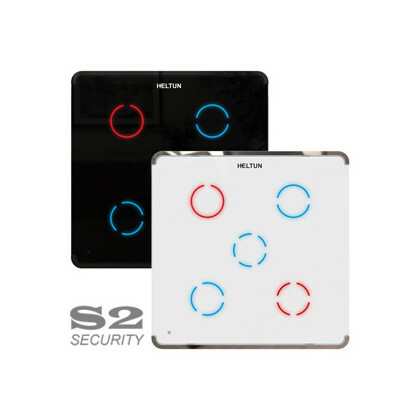 Z-Wave Plus S2 Wall Mounted Switch/Controller - HE-ZW-SW-5A from Heltun. 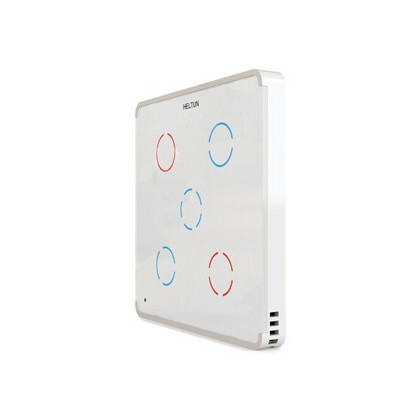 The HELTUN 5 channel wall touch panel switch/controller replaces an existing in-wall switch and enables manual or remote switch (On/Off) control of lights, blinds, motors and heating systems with a maximum load of 5A for each channel. 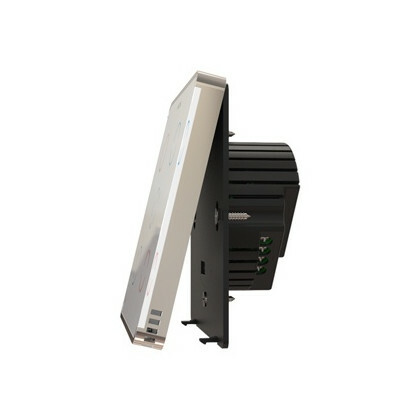 Device has two independent inputs for the relay channels which allows it to control systems with different power sources or to use outputs as dry contacts. 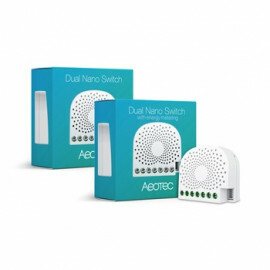 Each relay can be controlled by the switcher touch buttons or independently via a Z-Wave gateway. 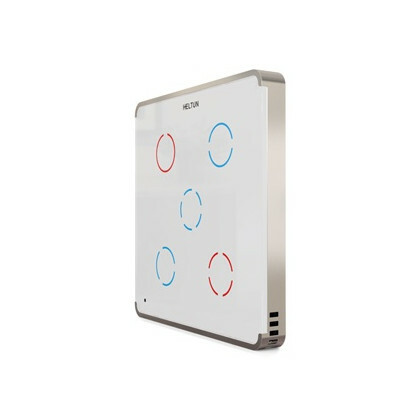 The touch panel has five sensitive capacitive touch control buttons with a two-color (red and blue) backlight for each button. 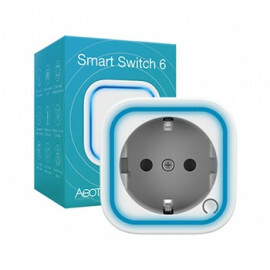 Button backlight brightness can be adjusted automatically depending on the illumination of the ambient environment or manually in the settings. 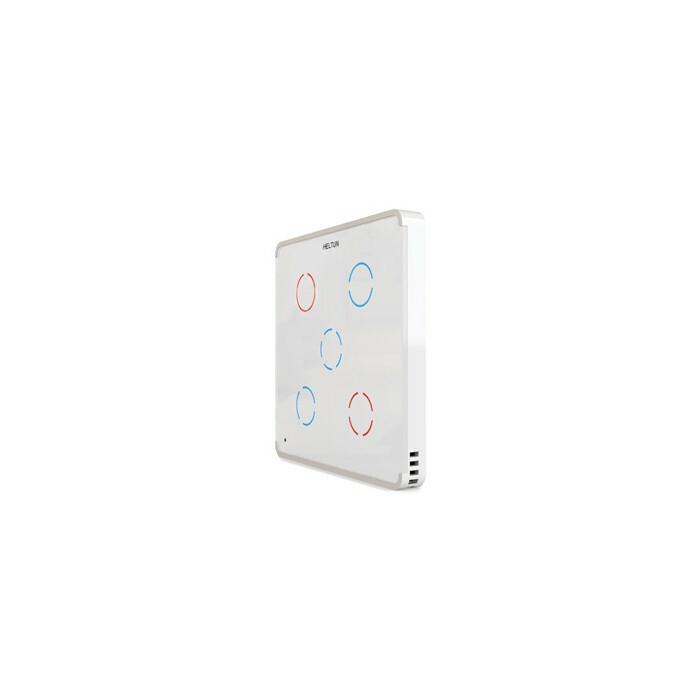 Each touch button can be configured to control any relay (from one up to five) output state in 7 different modes. 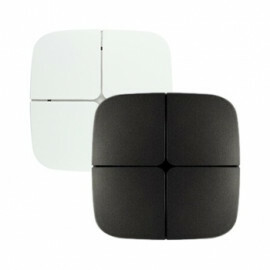 The buttons also can be used as controller scene activators and the backlight can indicate the gateway mode or associated device status. 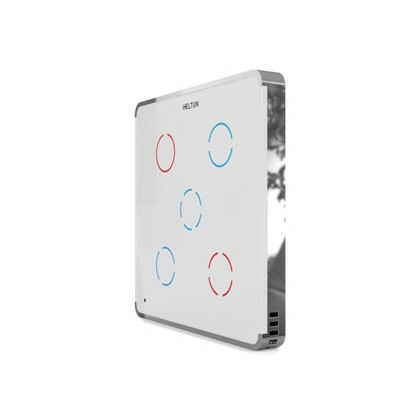 The HELTUN wall panel switch has internal air temperature sensor, humidity and light sensors and is also equipped with built-in power consumption logic. 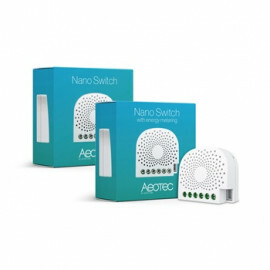 Device supports 11 endpoints and 30 groups for association which allow associating and control up to 90 different Z-Wave devices. Attention! 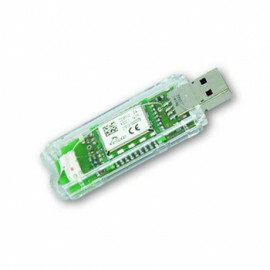 This switch module have potential free relay outputs.